Der Pz.Kpfw. 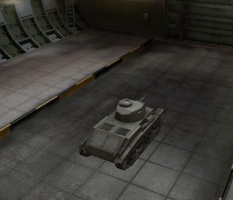 T 15 ist ein deutscher premium leichter Panzer der Stufe 3. Dieser experimentelle leichte Panzer wurde von Škoda zwischen 1941 und 1943 entwickelt, es wurden fünf Versuchsfahrzeuge gebaut. Keine Serienfertigung oder Indienststellung. Mostly disregarded by players, this tank is one little mean monster capable of taking out any tier 1-3 tank it gets to face from almost any angle, but it struggles against upper tiers. It's fast, accurate, mobile, and with an excellent view range/radio combination, it can still provide valuable recon information as a passive scout. Mind that in such role, crew training and a Camouflage Net is much needed, as it won't survive long against tier 5's. Missing Gunner crew slot for training tier VI - VIII light crews. 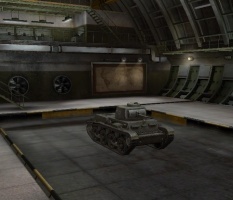 The T-15 is a fast light tank, which plays similarly to the Tetrarch. It has good view range and good HP, but the gun, while adequate against tier 3, starts to become useless against tier 4 and is completely useless against tier 5. Aim for weak points and then move. You are maneuverable, so make use of it. An idle T-15 is often a dead T-15. The radio range is excellent for its tier, so use Coated Optics and or a Binocular Telescope and spot in tier 4 & 5 battles. You can earn a lot of credits. If you find a good bush to spot from, take advantage of it so your arty and TDs have target. Make sure to move if you get spotted or you're not lighting anything. Binoculars and a camo net are the best equipment for this. 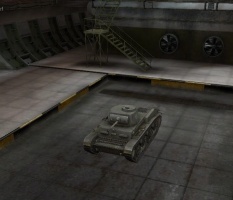 You should definitely use experienced crew (premium tanks can use any crew trained for same class), any German light tank crew trained to 100% will do, and train them full camouflage skills, Sixth Sense for Commander and View Range enhancing skills (Recon for Commander and Situational Awareness for Radio Operator). 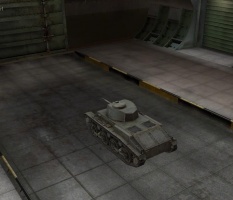 With Optics and proper skills this tank's View Range exceeds 400m, that is impressive for tier 3 tank. Premium tanks have nothing to research. Designed by the company Škoda starting in 1940, it weighed between 11-13 tons and had a maximum speed of 50-60 km/h. By 1942, the German government had lost interest in the development of the tank, but the company still continued development in-house. 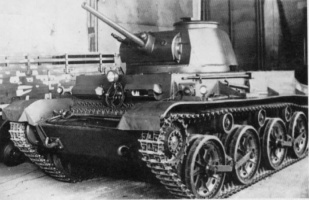 Only four prototypes were made, and the T-15 never saw battle or entered active service. 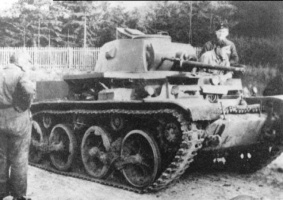 Note that it was supposed to be very modestly armored and armed like most light tanks, with a 50 mm cannon KwK 39 L/60 gun and MG34 and 30mm armor at its weakest point. Diese Seite wurde zuletzt am 25. Oktober 2016 um 14:17 Uhr geändert.